Place chex in a large, microwave safe bowl. Microwave the butter in a small bowl for 30 seconds. Add the sugar and corn syrup into the melted butter and microwave for another 30 seconds. 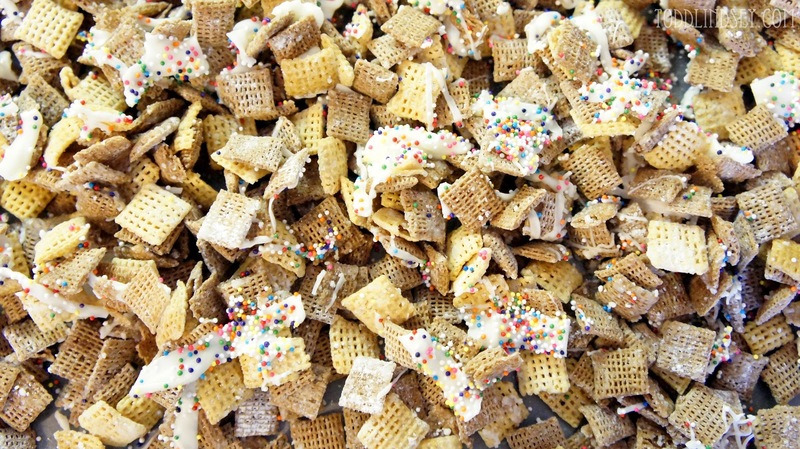 Pour the microwaved mixture over the chex cereal and carefully toss until evenly coated. Microwave the entire mixture for 2 minutes, stirring after each minute. 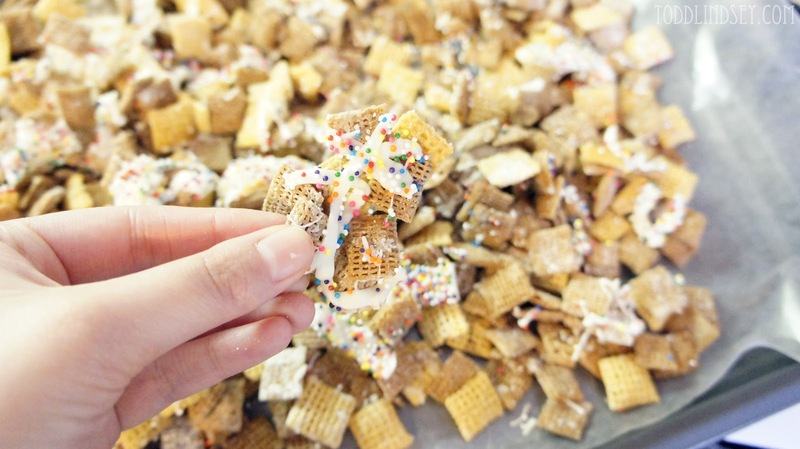 Carefully stir in the powdered sugar until all the chex are covered. 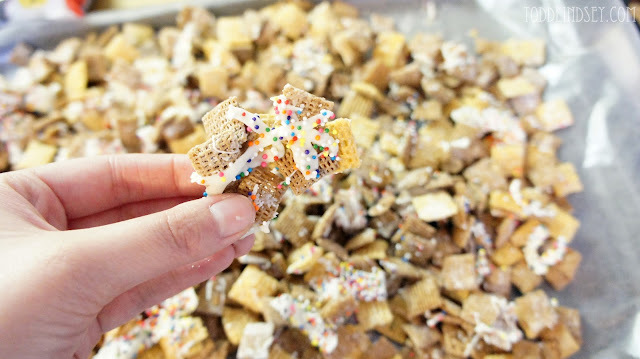 Spread the chex evenly over wax paper to set. Microwave the white chocolate in a small bowl for about a minute, stirring every 30 seconds until melted. 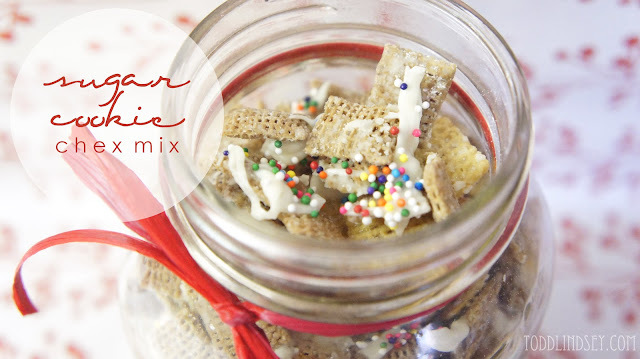 Drizzle the melted white chocolate and scatter sprinkles over the top of the chex. 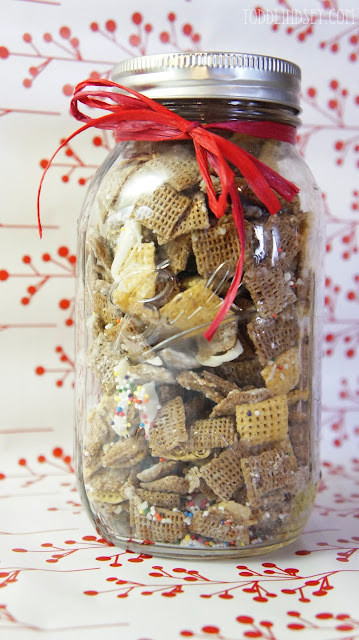 Refrigerate until everything is set and then gently break up the mixture into bite sized pieces.